How stunning are these fire opal Swarovski Crystals? 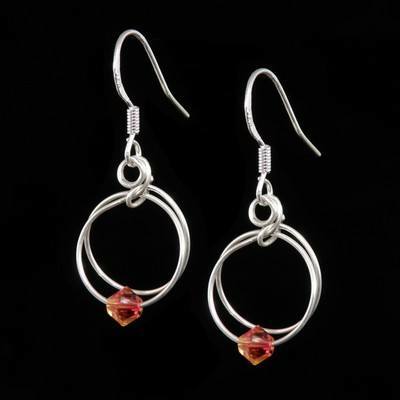 Add them to sterling silver and a beautiful pair of birthstone earrings for an October birthday girl are born. A pair of silver hoops with the opal dancing on each of them gives you the right amount of warmth in this Autumnal month. A perfect choice for a gift or a present for yourself - just because YOU love them.